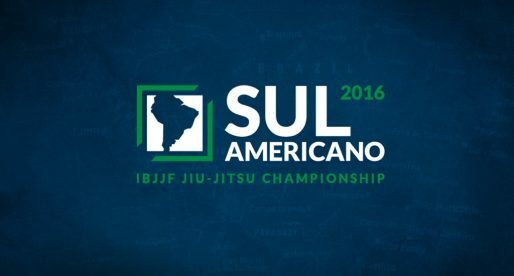 Home BJJ News IBJJF Worlds: Brown Belt Light-Featherweight Division is Stacked ! 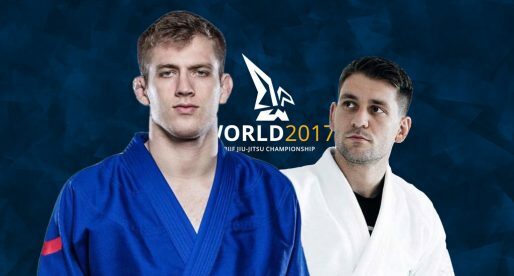 Traditionally the most talked about divisions in jiu jitsu’s sporting context have been the light, middle and medium heavyweight classes. The reason being, these have historically encompassed the deeper categories in terms of talent, talent that continuously grew from the early stages of competition down to this day. 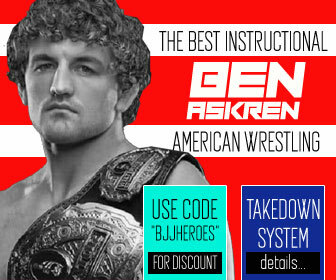 Although there has been no slowing down in this stream of high level athletes produced by the aforementioned categories, a new division arises with a huge future ahead, one with tremendous quality and competitiveness. That division is the light-featherweight – often referenced as Peso Pluma, under 64,00 kg. 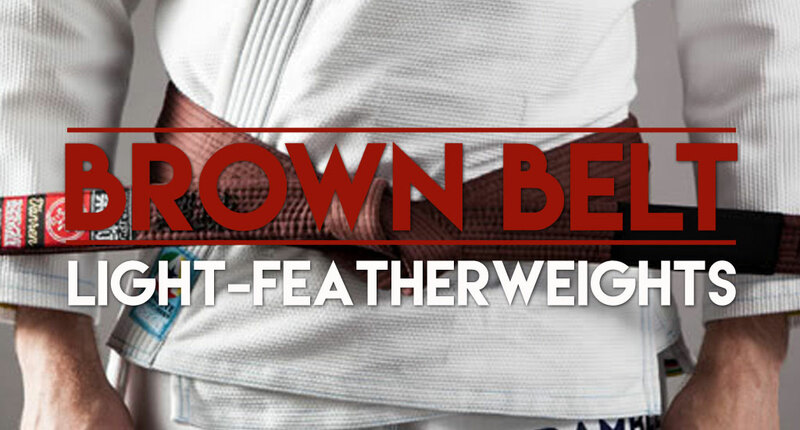 At this week’s IBJJF World Jiu Jitsu Championship the skill level of the light-featherweights will be on full display across the board, and if we are to look at the immediate future of the category, the brown belt is an excellent place to assess were the division is at. One of the rising stars coming from Brazil’s grappling circuit is Yago, the oldest son of renowned BJJ coach Márcio Rodrigues. Yago has a long list of accomplishments at brown belt, being the current Brazilian national champion and IBJJF Rio Pro champion in addition to his brown belt Pan American title last year. A serious contender with a glorious future ahead. One of AJ Sousa‘s top students is Adam Ferrara, who merges his high level wrestling pedigree with some serious submission skills. 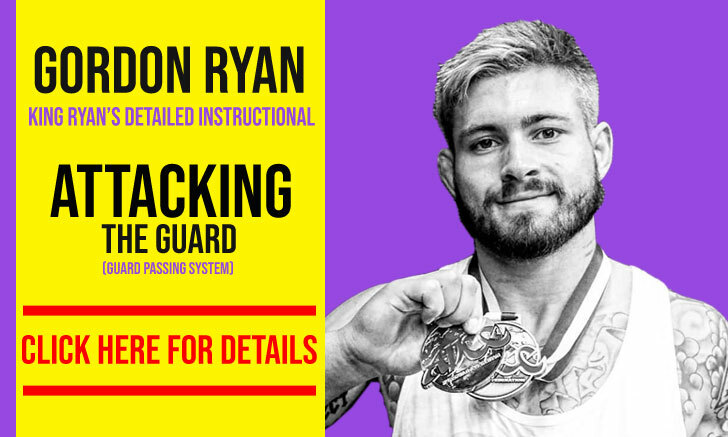 After a fantastic career as a purple belt, Adam has kept a tremendous pace during his brown belt campaign with regular trips to the world’s toughest grappling podiums, this includes IBJJF Pan American Championships (gi and no-gi), IBJJF World No-Gi Championships, UAEJJF National Pro and countless other achievements. 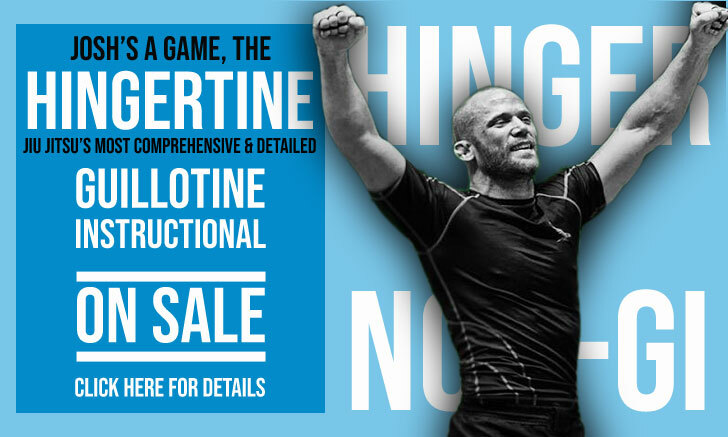 A natural born competitor, Rodrigo Costa has tested himself under a variety of combat rules, from gi to no-gi, from points to sub-only, from the mats to the ring. Originally a Nova Uniao standout, Costa has since moved to Gracie Barra, preparing for his biggest battles at the formidable GB Northridge with coach Romulo Barral. 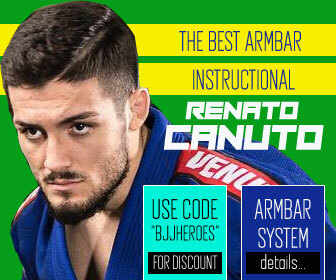 Last year Rodrigo narrowly missed the world title, losing in the final of the tournament, this year he is one of the favorites to take home the gold medal. Another well rounded grappler is Eric Medina, who trains jiu jitsu at both Jean Jacques Machado‘s school as well as 10th Planet with Eddie Bravo, while also coaching and competing in freestyle-wrestling. An EBI veteran, Medina had a great showing at the US ADCC trials having also medalled at the IBJJF Pans earlier this year as a purple belt. This is Medina’s first big test at brown belt, and much is expected from this talented athlete. Alexssandro Sodré is a student of the legendary Rodrigo Feijão, and the newest athletes to come out of Feijão’s prosperous training centre. A Brazilian National and a South American champion at purple belt, Sodré is a new addition to the brown belt division, and will be competing for the first time in America. A big window of opportunity perfectly suited for this young man’s tremendous talent. 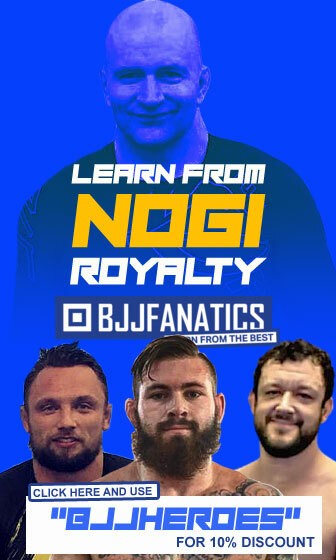 Arguably the man to beat at this year’s IBJJF Worlds is Pablo Mantovani, who in less than a year has conquered the IBJJF World No-Gi Championship, UAEJJF Abu Dhabi World Pro, the Brazilian ADCC trials, American Nationals and the IBJJF Pans. An incredible run by the Guto Campos student who will have all eyes on him next week. Together with Pablo Mantovani (above) the young Cobra will share the spotlight of the division. Kennedy is the son of a jiu jitsu legend, Rubens Charles ‘Cobrinha’ and seems to be well on his way to follow his father’s footsteps into BJJ’s hall of fame. This will be Maciel’s first big test at brown belt, he who is coming off from a tremendous run at purple belt, where he conquered Pans, European and World titles. One of Team Lloyd Irvin‘s most promising young athletes is Malachi. The 22 year old competitor has one of the most dangerous guards in the division, allying great dexterity and technique to his long frame. 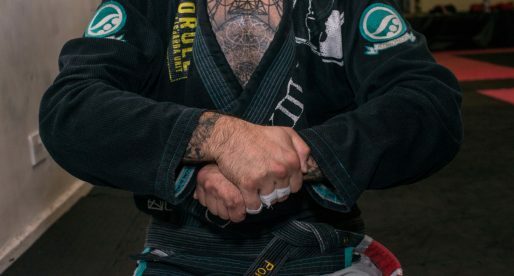 A body type similar to Isaque Paiva, which he has used perfectly to conquer medals at tournaments such as the IBJJF Pan American Championships, World Championship and New York Open(s). Possibly lesser known than some of the bigger names in the division is Shane Torres of Nathan Mendelsohn / Claudio Franca. Torres has had great success as a brown belt, being one of the top US athletes in the division. Among Shane’s top achievements are medals at the UAEJJF World Pro, Abu Dhabi Grand Slam – Los Angeles and Las Vegas International Pro as well as at the IBJJF Pans. Another regular podium presence in some of the world’s toughest jiu jitsu tournaments is Rafael Doerzapff, brother of Hugo Marques (another big player in the brown belt division). 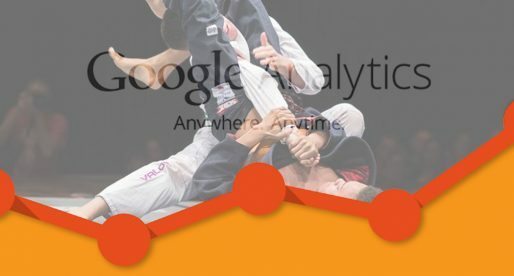 Rafael’s competitive drive as blossomed at brown belt, where he’s been very successful, particularly in the Rio de Janeiro circuit.